You can’t go wrong with airforce blue, and in this 100% wool three-piece suit, with its toning check you’ll be flying high. The UKs Best kept secret! 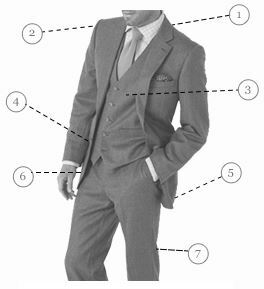 I order all my suits from Brook Taverner. The quality is good and the customer service is second to none. If something doesn’t fit, you can return it free of charge just by dropping the package in at the nearest post office. No quibble. Also there are always great offers and loyalty points that add up quickly. 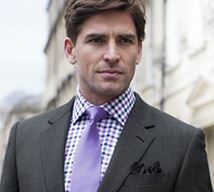 Brook Taverner is the best kept secret for suit purchase. Great loyalty program. 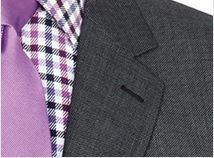 First class tailoring,No-quibble returns policy,very good choice of shirts. 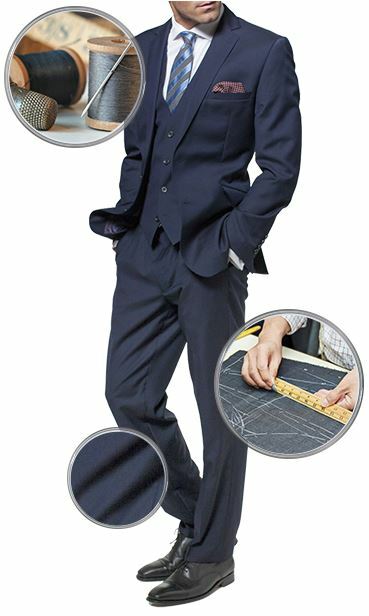 The waistcoat for the air force blue Howley 3 piece suit is out of stock in 44 Reg, have you any idea when this will be available ?, will it be before the 15 th of November.. Unfortunately, as this suit is from our seasonal range, once we have sold out of a size we will not be reordering anymore for stock. Please is this a good heavy weight suit? Is this suit as weighty as a tweed suit? 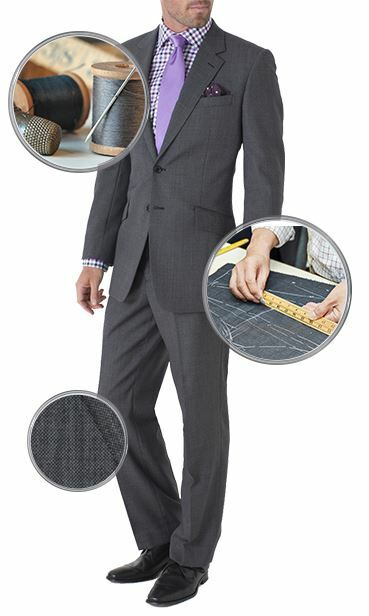 This is a winter weight suit and the weight of the cloth is similar to our other tweed suits at 395gms/mtr2.